The above panorama does an ok job of capturing it.. You can click on either the image or this link to get a “.mov” which should fire up in quicktime and let you pan and zoom and navigate around the panoramo. Use the arrows to navigate and shift/control to zoom in and out. 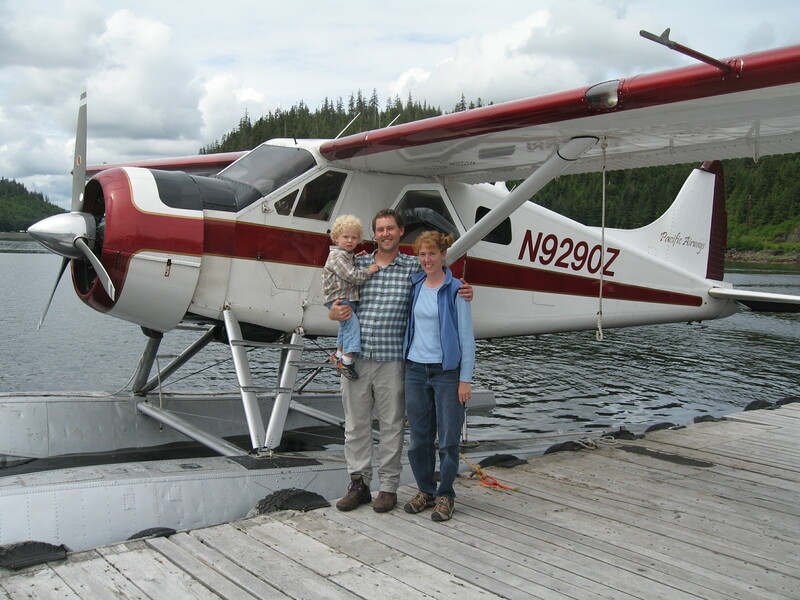 Carrie and Torsten flew out on Ward Air direct to Tenakee on Thursday. Matt stuck around Juneau to get the “SEAMONSTER 2” proposal in, and teach the first class of the semester (both worked out well, I think..). We walked about a mile to the cabin that Nathan had just helped put up..
What a location! We had a delicious crab meal on Friday night. Nathan pulled ’em up, with the help of the boys. After the boys examined the crabs, the crabs got their revenge by chasing the boys around (with Nathan’s help…), and then we got our revenge (and dinner)–yum! We went out to Boy Scout Beach with Chip, Missy, and Adelie two weeks ago. It was a great day–parts of the trail still had really deep snow, while other parts were melted off completely. The wind off the ocean was a bit chilly, so we found a tree sheltered area for our picnic. If the pictures below aren’t more than enough, there’s the gallery, as usual. Matt was just about to head out, when the house started rockin’. Then it kept rockin’. Then Matt saw the lights moving and checked–yep, trees outside are moving. Then Matt wondered about going to wake Carrie and Torsten–no need, they just woke up. Then the cabinets and wood TV/computer hutch started creaking. Hmm. Good morning from Earth, remember me down here? A magnitude 5.7 earthquake up about 120 miles NW of Juneau (almost 60 miles west of Skagway) at about 9.0 miles deep at 6:49 was all the alarm clock some of us needed. Exciting way to start the day, and hopefully no one up there is hurt. I’m curious to know how many avalanches it triggered..
Hope you all have a rockin’ day. Torsten and Carrie went on down to Tracy Arm with Rob, Erica, Sammy, and Izzy. 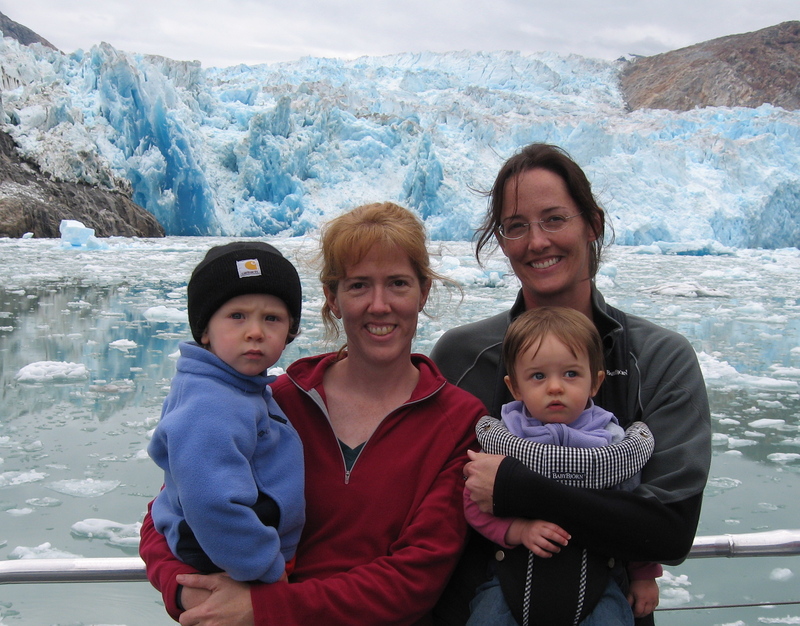 Whales are big, ice is cold, glaciers are cool (especially calving sea water glaciers). Matt was doing his civic duty (jury duty). Check out the photo highlights.